Once upon a time, man got by with an egg timer, a few sharp knives and a single gas cooker. Fast forward to 2016, and there’s now a new breed of kitchens appliances and gadgets available, ranging from wifi connected fridges to instant hot water taps that you can be controlled from your phone. A timeless classic, with no touchscren. This kitchen staple gulps up anything you throw into it, boasts a direct drive motor and a highly durable all-metal housing to ensure maximum versatility. Attachments galore brings great benefits, like the ice cream maker, juicer and even a sausage stuffer. 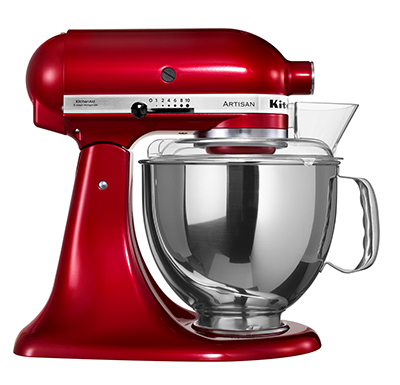 Long live the kitchen mixer. An oven with everything you need. Not only will it cook a bird, but its automatic opening door will even politely open the door for it. 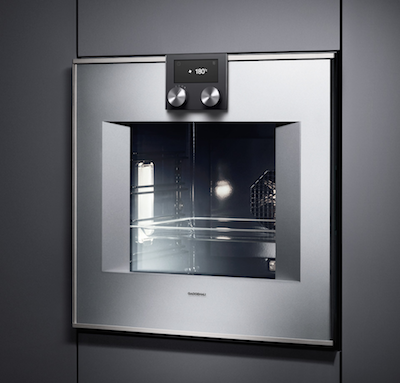 With a TFT touch display control, handleless door, 17 heating methods, temperature control from 30 °C to 300 °C and more, this clever functional oven is worthy the level of investment. They say money can’t buy you time, well they lied. This instant hot water tap means instant brewing, with boiling water on tap (excuse the pun!). It might look normal, but it’s anything but. 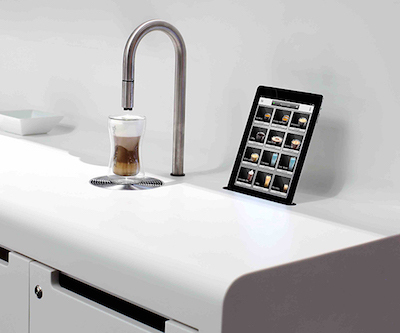 Control the Scanomat Topbrewer from the invisible touchscreen in your worktop or via your iPad or iPhone. Clever! IF you LOVE the tradition of cooking with gas, the Grand Cuisine Gas Hob is one of the finest looking options on the market. Precisely controllable, it offers a patented Flower Flame that automatically adjusts to the size of the pot or pan being used. Aside from the fine control of the heat output, the cast-iron pan allows you to efficieintly maneveur your pans while cooking, as opposed to having to lift and move. Every second matters in the kitchen. Your kitchen is the hub of your home. Family and friends gather, so naturally technology is likely to be sought after. 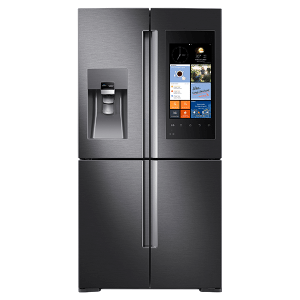 Samsung’s wifi fridge with Family Hub is a natural evolution in a world overrun by technology, and will help you manage your home and life, with accurate food management, family connection and entertainment capabilities – all controlled from a 21.5” Wi-Fi enabled touchscreen on this 4-Door Flex Refrigerator. Practical and SMART. For further advice on your kitchen appliances and design, please contact Neil Norton Design at info@neilnortondesign.com or at 020 8715 5575.